A client in Harpoon is the person or company for whom you’re providing services. When you send out invoices your clients are the ones who receive and pay them. To create a client click on the green Create menu in the top right of your screen and select New Client. You’ll now be presented with the New Client form. Company Name: Provide the name of your client’s company. If your client doesn’t have a company name go ahead and provide their first and last name here instead. This is what will appear on any invoices sent to the client. Source: How did you find this client, or how did they find you? By selecting a source Harpoon will be able to track which sources have been the most profitable for your business over time and present that data on your Dashboard. Address: The address of your client will be displayed on any invoice sent to the client. 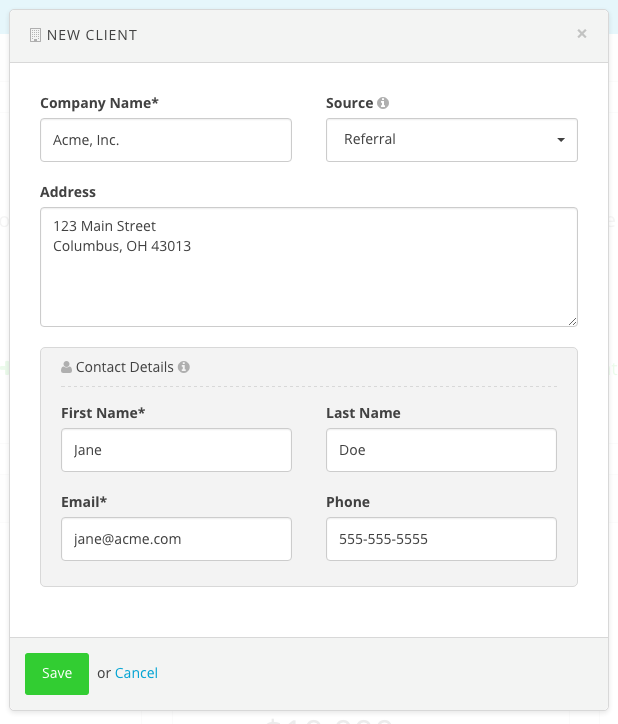 The remaining form fields are Contact Details. Each client must have a contact person associated with it. The contact person is who will receive your invoices via email. First & Last Name: Supply the first and last name of the contact. This name will appear in the emails sent to your client. Email: This is the email address that your invoices will be sent to. Phone: The phone number where you can reach your contact. Save your new client and you’ll be presented with the Client Details screen for the client. 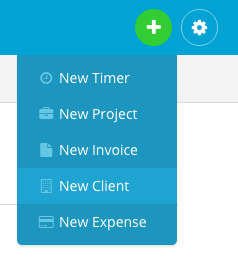 This screen is where you’ll track all projects and invoices for the client. To learn more about Clients and other related topics view the Clients support articles.